The mad man revealed two new Druid cards. As we draw closer to the release of Hearthstone’s new Rise of Shadows expansion, more cards continue to be revealed in unique ways. Today, Hearthstone streamer Trump revealed two Druid cards that work as a combo, Crystal Stag and Crystal Power. 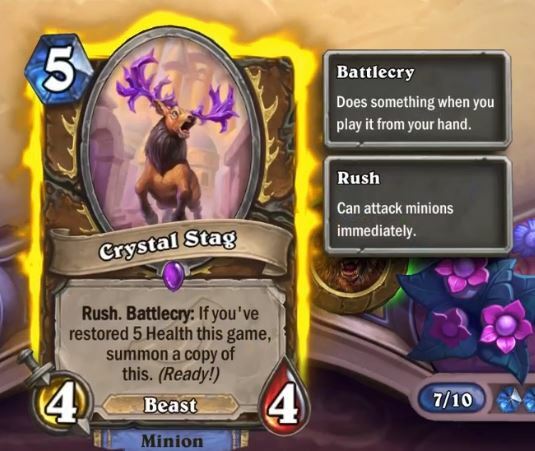 Crystal Stag is a five-mana, four-attack, and four-health minion with Rush. The card also has a Battlecry that allows you to summon another copy of the minion provided you’ve restored five health so far in the game. That is where Crystal power comes in. 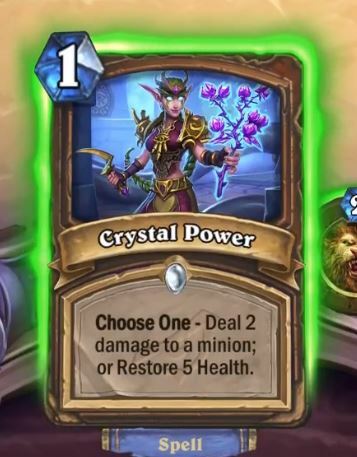 Crystal Power is a one cost Druid spell with a choose one ability. The card can be used as a two-damage removal spell or to restore five health. Using it it prior to Crystal Stag can ensure you have the healing required to trigger the Stag’s Battlecry. Trump revealed the card during a live stream on Twitch by solving a puzzle box like the one sent to RegisKillbin by the league of EVIL. The box included a note from Rafaam inviting Trump to join the league of EVIL provided he could pass a test (solve the puzzle box). Trump said he had no idea what the card was beforehand and would be surprised like everyone watching. After a moderate struggle against Rafaam’s box, Trump successfully revealed the card. 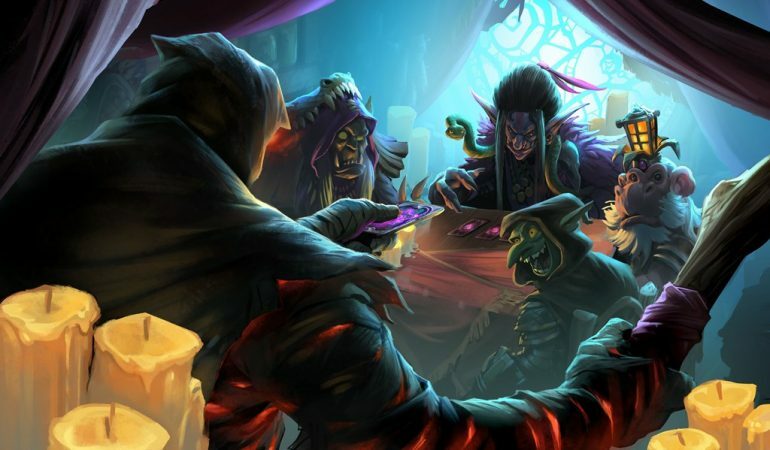 You can check out all of the cards from Hearthstone’s Rise of Shadows expansion when it releases on April 9.